Jimmy Choo Eau de Toilette has a dazzling aura of glittering femininity. Jimmy Choo Eau de Toilette is exceptionally glamorous in attitude, confident, intelligent and with a sense of fashion and fun. Jimmy Choo Eau de Toilette is a modern fruity floral perfume with luminous yet sensual woody depths. 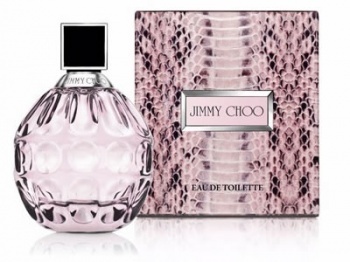 Floral and fruity with a green top note followed by heart notes of rich tea rose and exotic Tiger Orchid finishing with base notes of cedar wood, the new Jimmy Choo Eau de Toilette is an enticing addition to the Jimmy Choo fragrance range.